Endourology is the branch of urology that deals with the closed manipulation of the urinary tract. It has lately grown to include all urologic minimally invasive surgical procedures. As opposed to open surgery, endourology is performed using small cameras and instruments inserted into the urinary tract. 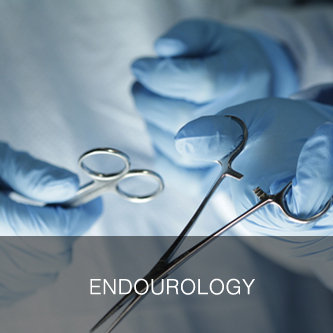 Transurethral surgery has been the cornerstone of endourology. Most of the urinary tract can be reached via the urethra, enabling prostate surgery, surgery of tumors of the urothelium, stone surgery, and simple urethral and ureteral procedures. Recently, the addition of laparoscopy and robotics has further subdivided this branch of urology.